Each week, things change so rapidly around here that there always room for an updated vertical garden post without being redundant on past articles. Various plants grown in vertical garden. 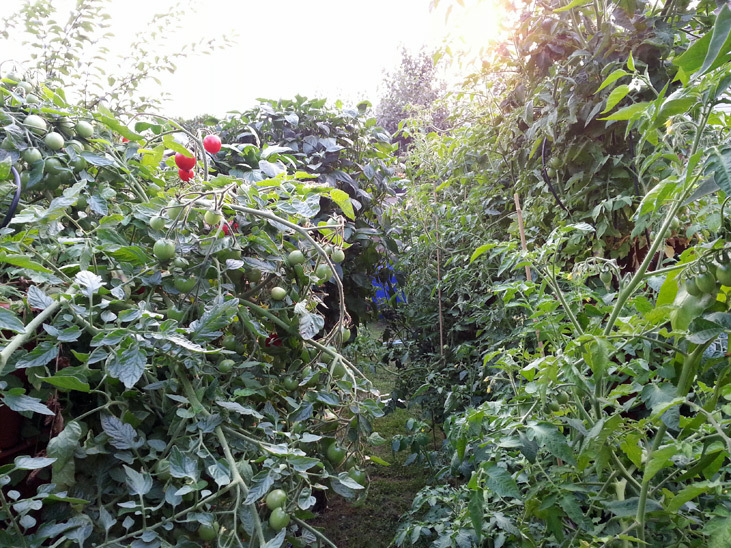 Large cherry tomato style plants. Well lots, actually. 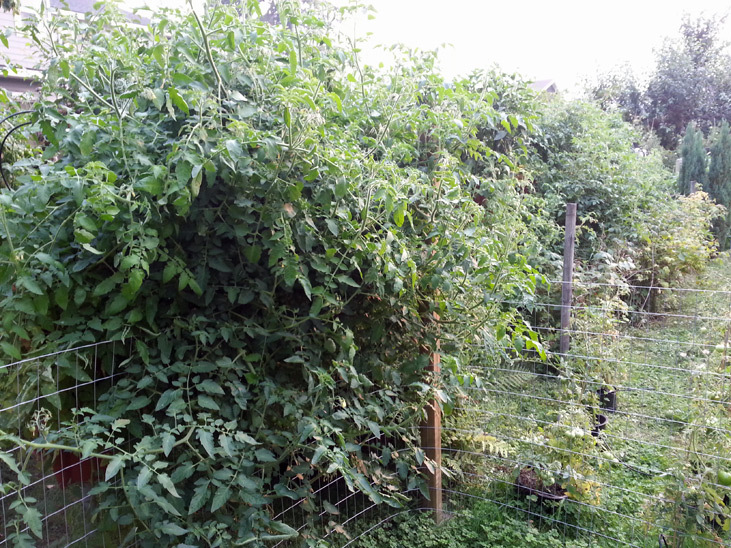 Tomatoes are finally at a mature stage where they can be eaten daily and the peppers are putting on lots of volume. Last weeks post can be found here if you want to see the differences. 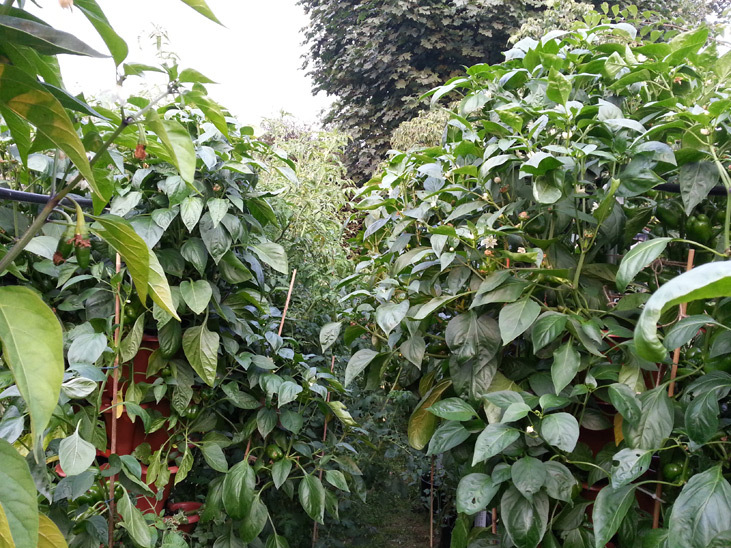 As some tiers of bell peppers have shown plentiful, surprising yields, quite some focus has been spent on a realization that the social craze of Urban Farming make a pepper farm(or partial pepper farm) an enticing venture. In fact, some tiers and certain varieties are showing potential numbers like 200+ peppers per tier. Thus, retail, that ranges from $300-$800 for pesticide free peppers grown hydroponically. Then, after you put a pencil to the paper, you realize that 100 of these tiers could actually retail over $50,000 and perhaps wholesale at half. Not bad, right! Again, this just goes to show some results based on optimal nutrition and water and using space efficiently, rather than the alternative. However, it is not all fun and games, the peppers do require some staking to give support from heavy winds and falling over. To compare now with about 2 weeks ago ago, see the recent post. The system has 4 varieties for tomatoes. All are doing well, but, one stands out…Topsy Tom. This plant likes to grow downwards and it resembles braided hair falling over the sides of the pots. It supports itself well, tastes great, bugs seem like no issue and it produces. Again, it looks like it will easily produce in the hundreds of dollars retail for its given space under 10 square feet. Having tested over 20 varieties this year, Grand Rapids has shown as a favorite for many reasons. For one, it rarely bolts, even after 4 months of age and multiple days in the 30s. More reasons for it being a winner is that it tastes good, matures fast, and it avoids bugs and pests. Lettuce is also a winning cash crop as you can easily get 5 harvests a year and lettuce requires very little food. 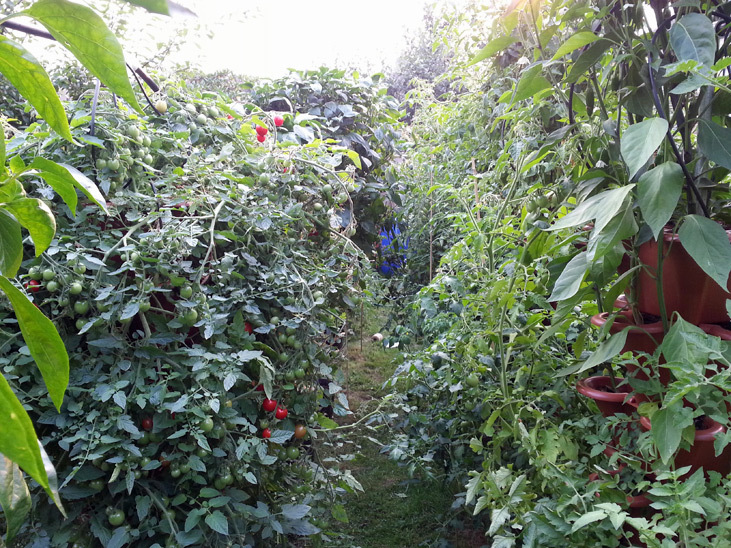 Thus, each tier can allow for the harvest of over 100 plants with hardly any extra care besides picking and washing. Add a greenhouse and that could likely tally at least 8 harvests since it can grow in very cold, dark climates. Thus, it too can retail over $500 per tier and keep a family in lettuce quite easily. To refine lettuce growing this fall, I will be experimenting with 13 inch quad pots to see how effective they are to grow lettuce while reducing costs. Costs are reduced since less media is used and more greenhouse and growing space can be utilized.